Last year during Hats Off day along Hastings, Viv and I were able to sample some food from various restaurants including The Pear Tree. Man, I still remember those yummy scallops! 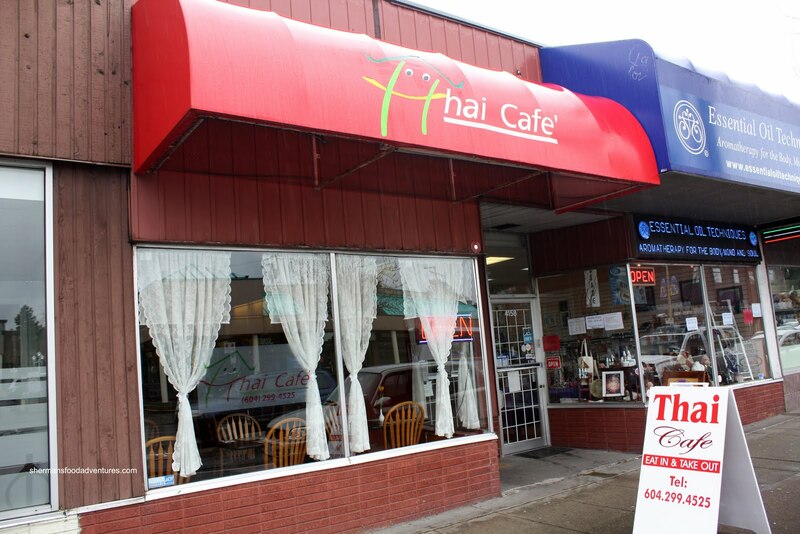 Thai Cafe was another place we got to try and ever since, it has been on my hit list of restaurants. It has taken me almost a year to try the place out because of one fact - the kids. Yes, I have a better chance at surviving a jay walk across #3 Road than my son eating something spicy. 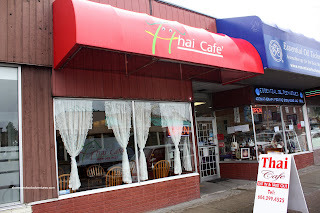 So when we had a chance to grab a quick lunch without the kiddies, we headed over to Thai Cafe. This little unassuming place is a neighbourhood favourite. In fact Viv's coworker, who lives nearby, raves about the place much like many others. 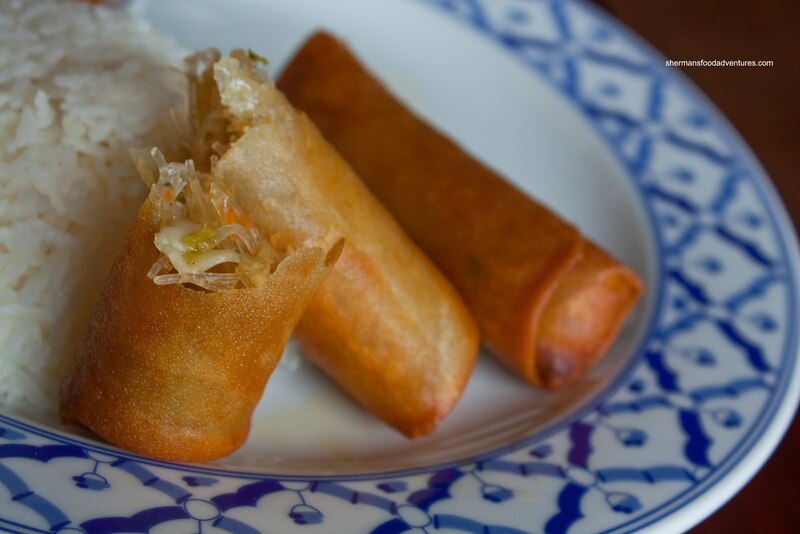 As with most Thai restaurants, they have their lunch specials which include rice, spring roll and soup. Seeing how 2 dishes would not satisfy both my appetite and curiosity, we went for 3. As mentioned, each dish included a Spring Roll. Well, they were crispy, hot and had the familiar vermicelli and veggie filling. Other than being slightly on the greasy side, there were no complaints. For our first "dish", we had the Red Beef Curry. Unlike many "Thai" restaurants, this was fairly spicy. We actually asked for medium, so you can take a guess how hot it would be if you choose the "spicy" option. I felt there was a good balance between the coconut milk and spice. I'm not a huge fan of places that put so much coconut milk into a curry, it becomes too thick and one-dimensional in taste. The bamboo shoots and peppers still had texture while the beef was tender to chew. To further perpetuate the "standard Thai dishes" meal, we also got the Chicken Green Curry. It was a little on the watery side; yet that was not really an is sue. As mentioned, I'd much rather have a balanced-tasting curry than a thick one that has far too much coconut milk. After all, the sauce will be eaten with rice anyways, so thickness is not as much of an issue. Much like the red curry, the flavours were balanced. We particularly liked that there was a good amount of heat that didn't overwhelm. 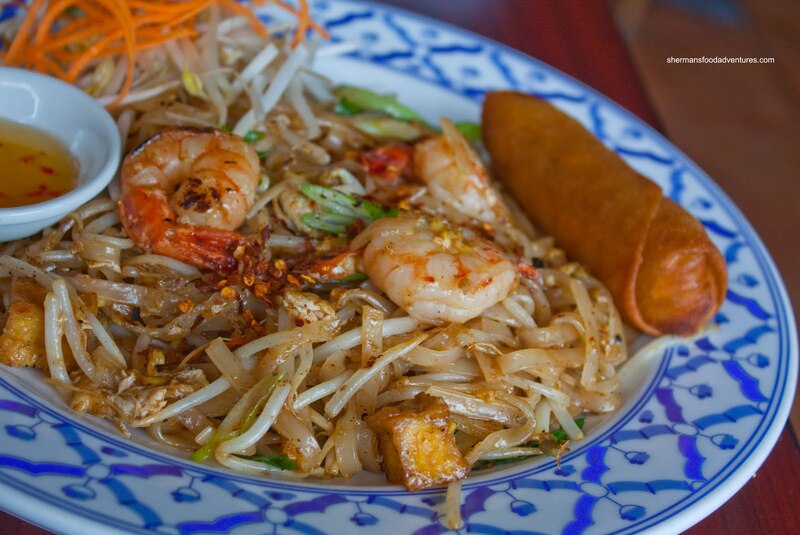 Lastly, the best dish of all was the Pad Thai. 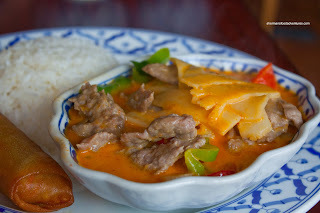 We really dislike the ketchupy version that is commonly found at "Thai" restaurants in town. The one her e was one of the better ones I've had lately. The noodles were perfectly chewy while all the usual ingredients were present such as pressed tofu and pickled turnip. There was a slight kick and tartness from the tamarind. I would return just to have this again. For such a small little outfit hidden among the shops along Hastings, this was indeed a surprise. While we were there, the place remained busy throughout lunch hour. And why not? 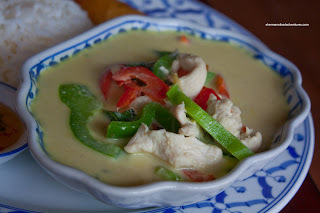 It's reasonably-priced and the food beats many of the well-known "Thai" restaurants in town. Hey neat as I was doing take out from the other Thai place a block west, I looked at it wondering if I made the right choice. Saw your article in the Sun, nice work! Yes, I just read your article too! lol.... I guess hockey and fine dining just don't mix most of the time.....luckily beer fills in nicely. I'm more than happy to visit this place. Solid. My daughter has been eating here since she could chew - they are SO family friendly! My baby Ever (now 5) always had the glass noodle soup that comes with the lunch special (WHAT a MESS!) and the Pad Thai with no peanuts and no added spices, with chicken. I swear it was the healthiest stuff my baby ate. The even bring little plastic kid dishes, an ice cube for the soup, etc. She called the owner Gramma Thai when she could finally talk. Also the lunch Pad Thai was a good portion for baby and mom to share. I have warm fuzzies for that place-I can't believe we haven't been there in a year. Wow, long comment - maybe I'll copy this onto the rating sites! @Stace Good idea, I should bring my kiddies here to do the stripped down Pad Thai! I certainly don't mind going there!